Our motel is located in Cottonwood, AZ. contact us for great room rates. We do not accept reservations over email, but we do encourage you to email us for more information. We value our customers and their privacy, and because of sensitive credit card information, we do not have our reservation system connected to the internet. Look for us on booking.com! THE VERDE VALLEY - AN EXCITING AND UNIQUE AREA OF AWESOME ARIZONA!!! Sedona and Oak Creek Canyon, Cottonwood, Clarkdale, Jerome, Camp Verde, Lake Montezuma, Rimrock, McGuireville, Cornville, Page Springs... Two million years ago, the valley was land of lush grasslands and marshes, the home of prehistoric land animals and airborne creatures. This beautiful area has become a haven for photographers, outdoorsmen and nature lovers. The valley is used extensively as a setting for many movies, commercials and TV productions. Outdoor recreation such as swimming, tennis, golf, horseback riding, fishing, camping and picnicking is virtually "out the back door". 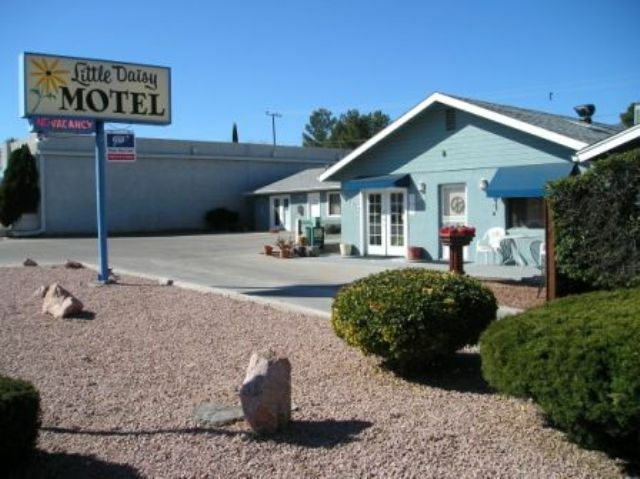 ALL OF THIS AND MORE WITHIN 30 MINUTES OF THE LITTLE DAISY MOTEL!